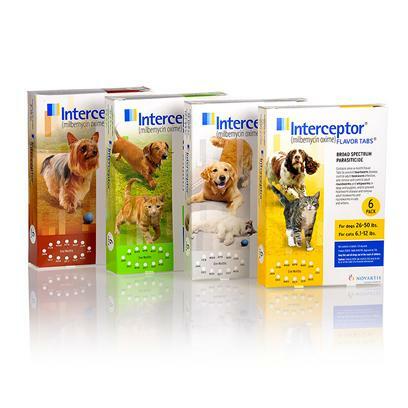 Interceptor is a monthly medication for your dog or cat that prevents and treats heartworm disease and the treats cases of whipworm, roundworm, and hookworm. Rated 5 out of 5 by 149 reviewers. INTERCEPTOR - CAN'T GO WITHOUT IT! This is a terrific product! Great deal & fast shipping!!! Fast Delivery & less expensive than the vet!!! LOVE IT, LOVE IT, LOVE IT!!!!!!!!!!!!!!!! Works great! as is PETCARE RX service too! And it tastes good too!